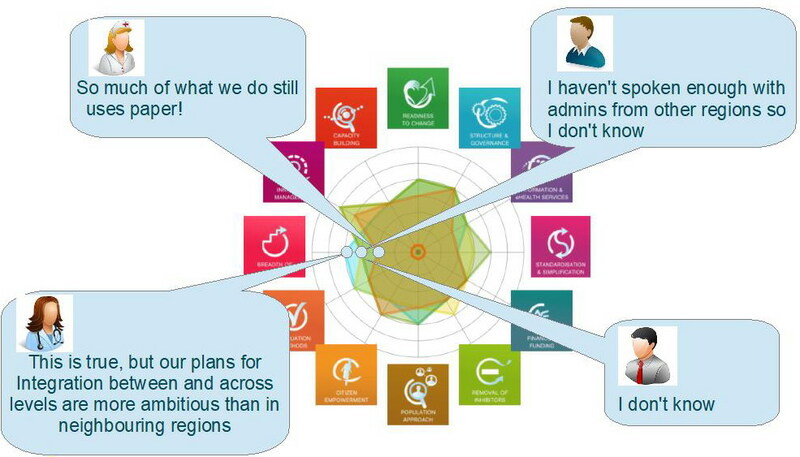 The SCIROCCO online self-assessment tool is being designed and tested to identify the maturity of the health and social care systems for the adoption and scaling up of integrated care solutions. 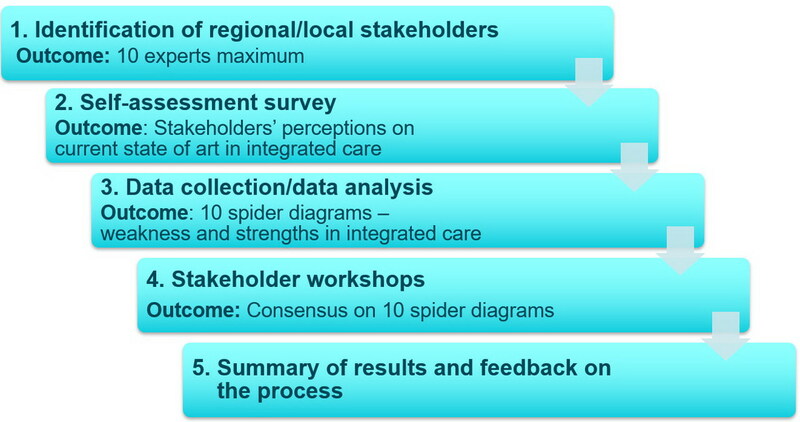 The outcomes of this process help to inform the regions and stakeholders involved about the readiness of their local environments for integrated care, including strengths and weaknesses and areas of improvements. The SCIROCCO tool is also tested with multidisciplinary teams to capture the perceptions of all stakeholders involved in integrated care. The tool facilitates the discussions and negotiations within the teams in order to reach consensus and agreements on the maturity of environment for integrated care. For more information about the SCIROCCO methodology for the maturity assessment of health and social care systems please refer to our presentation.